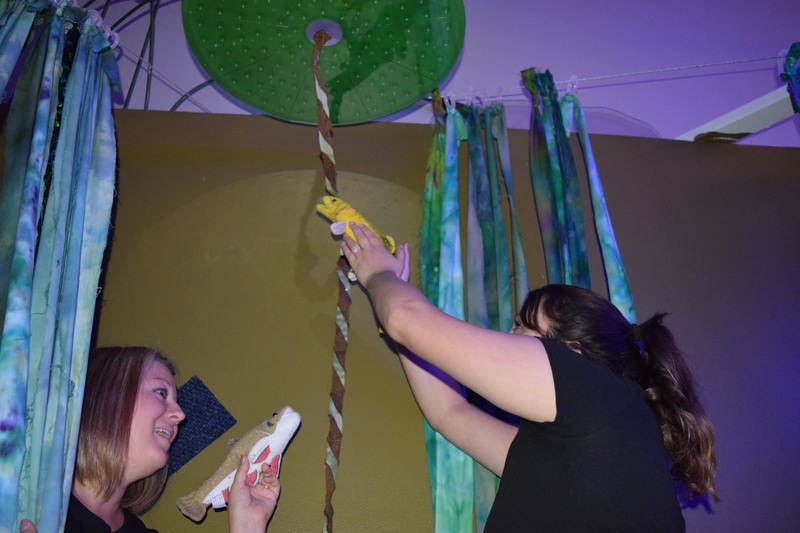 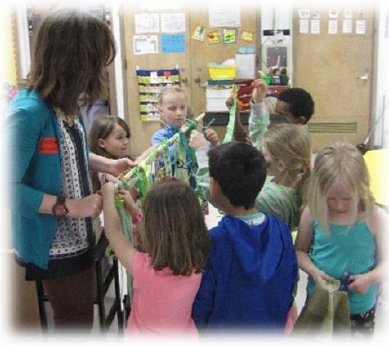 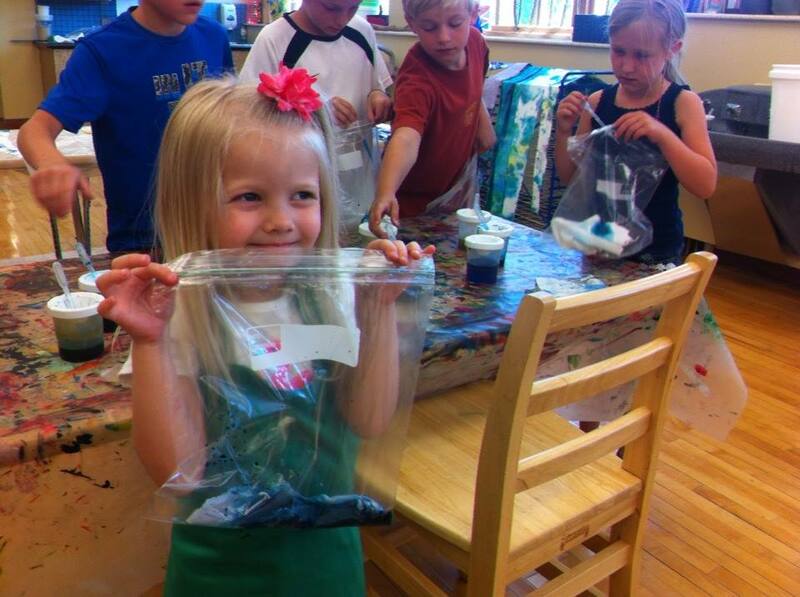 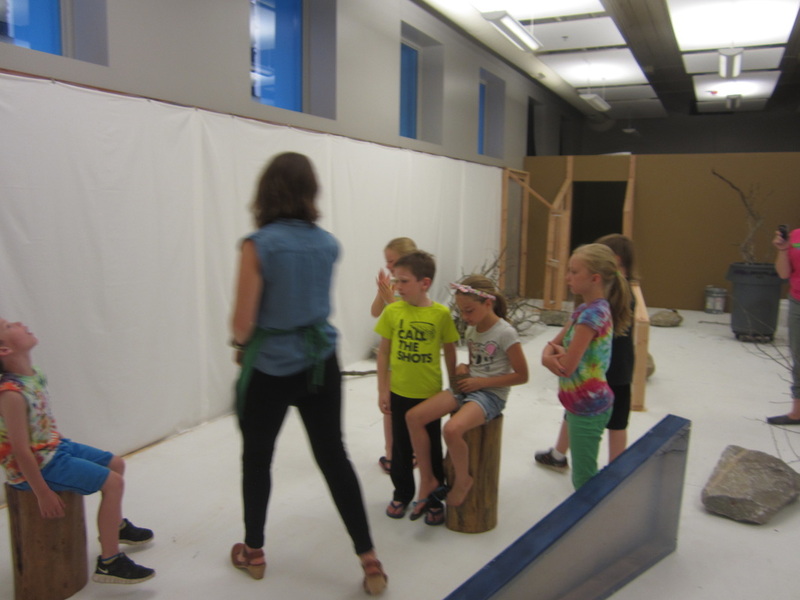 A collaborative Installation Project with Children's Museum of South Dakota in Brookings, SD running July- December 2015. 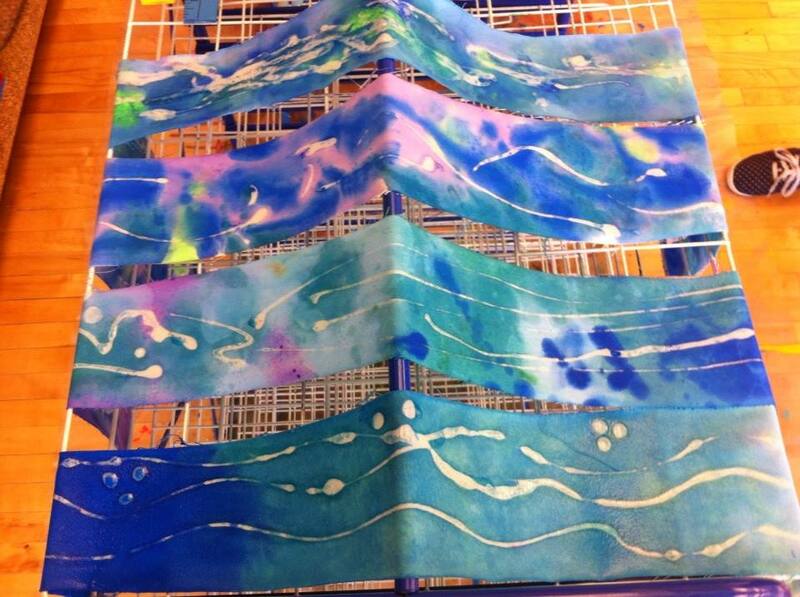 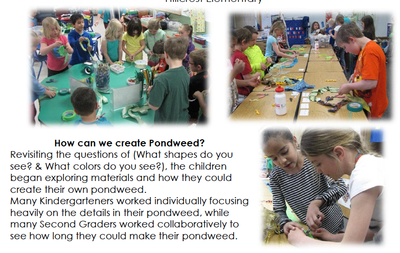 Check out recent BLOG POSTS to read more about this exciting, collaborative project. 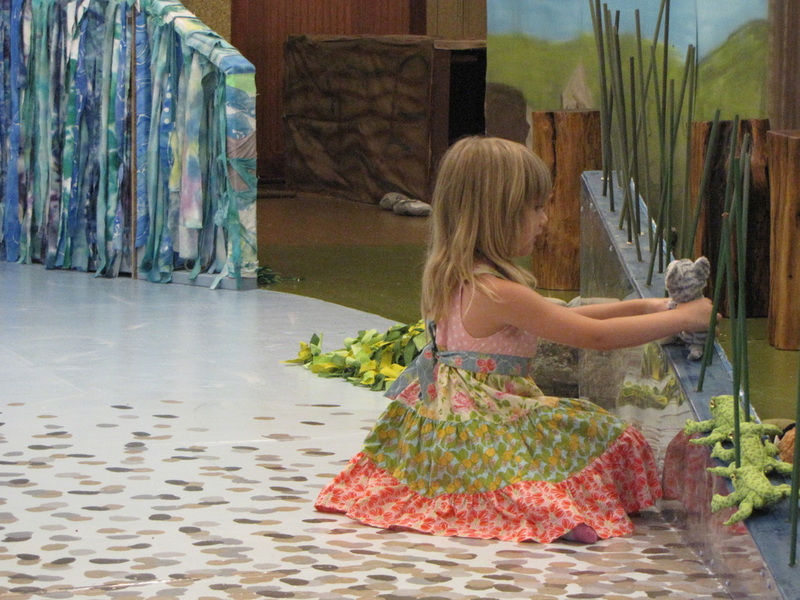 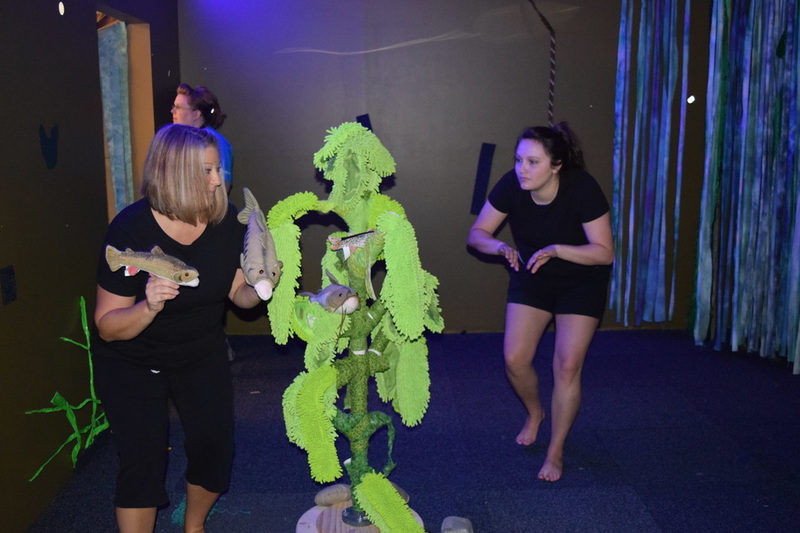 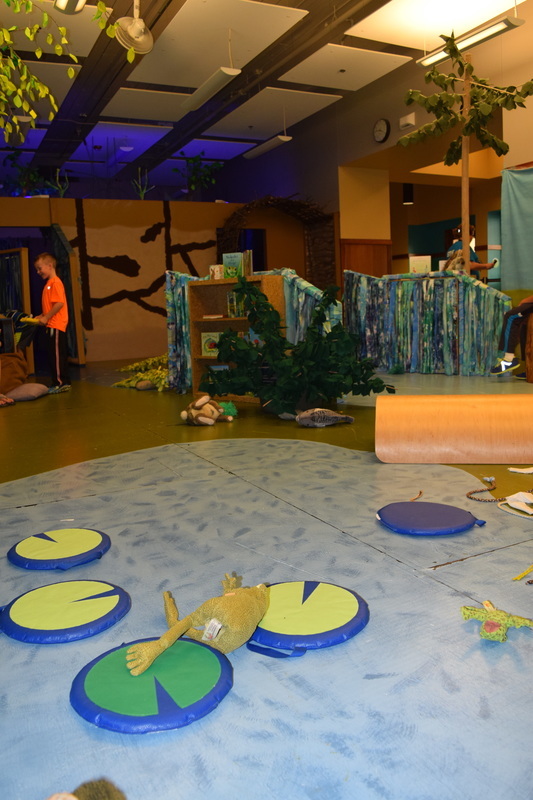 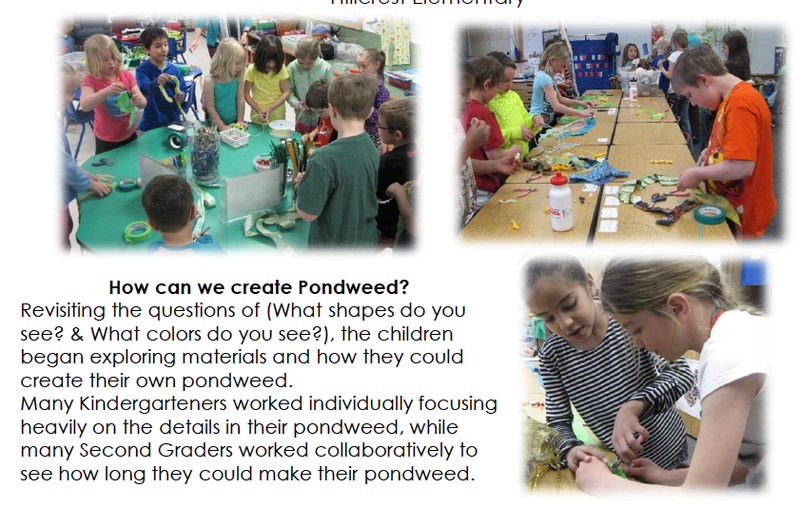 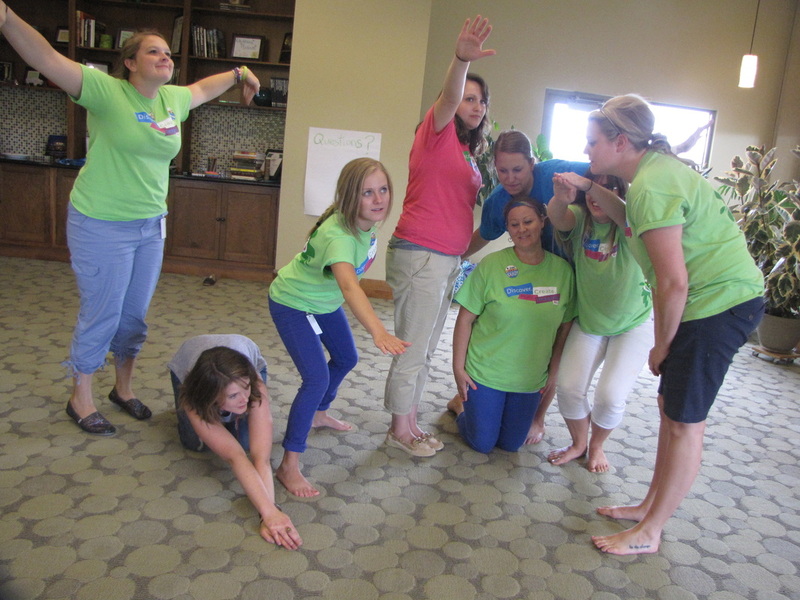 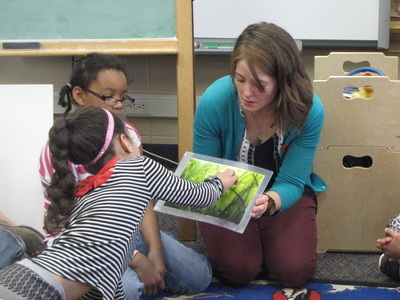 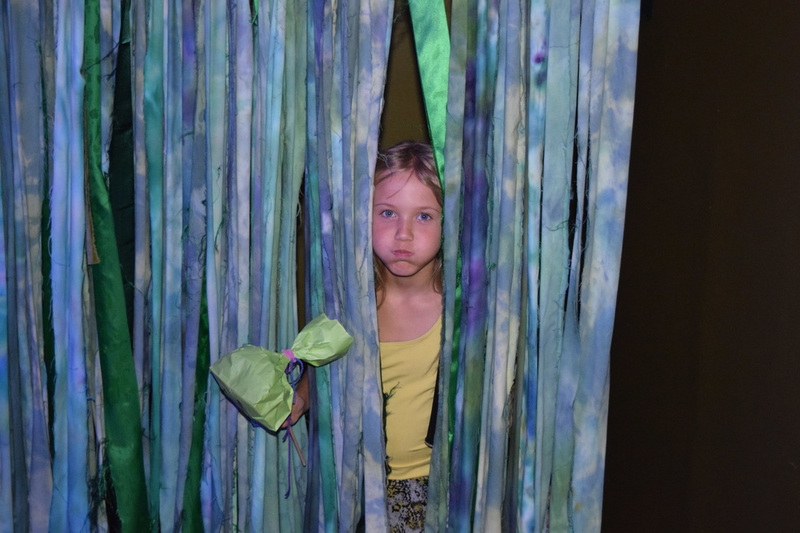 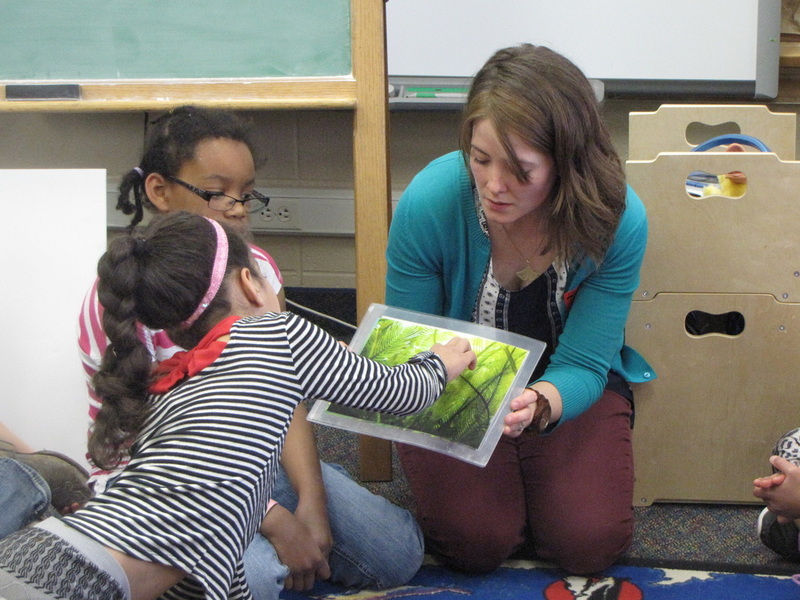 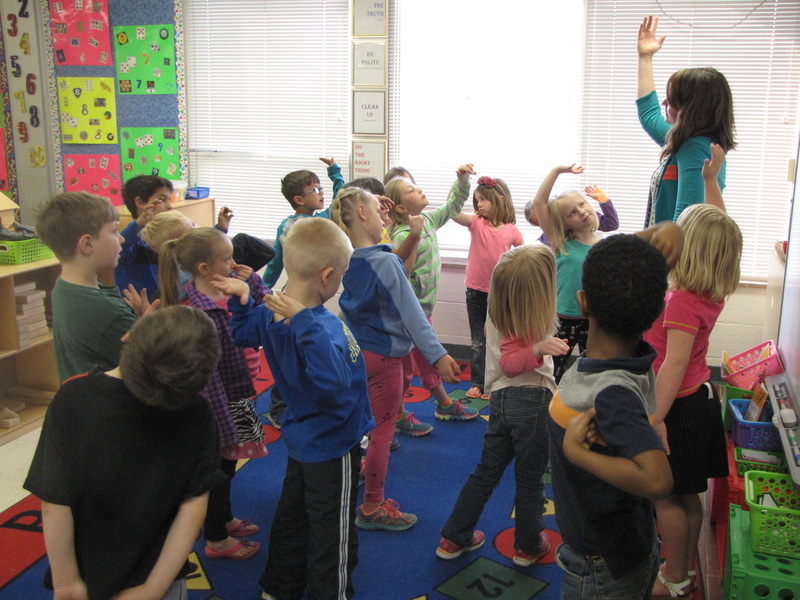 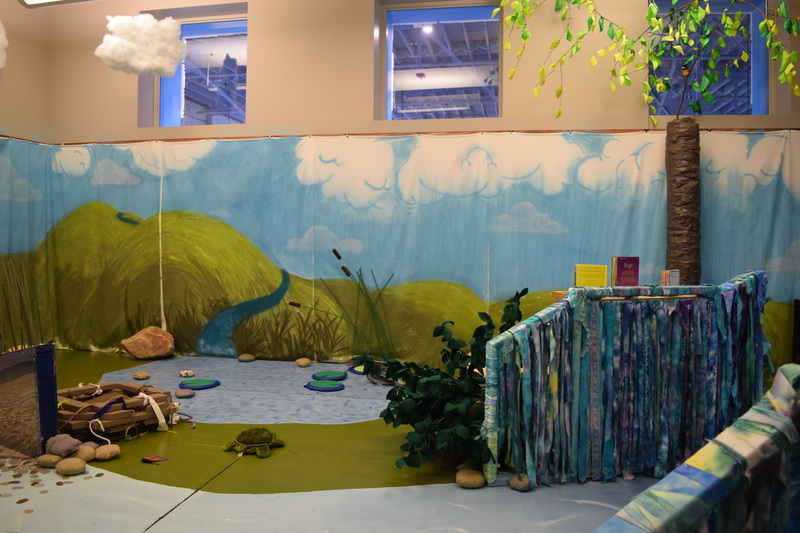 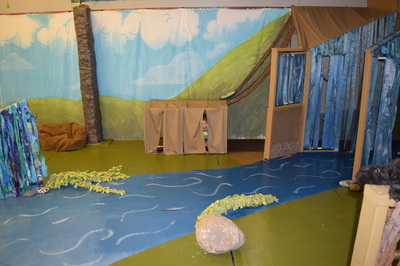 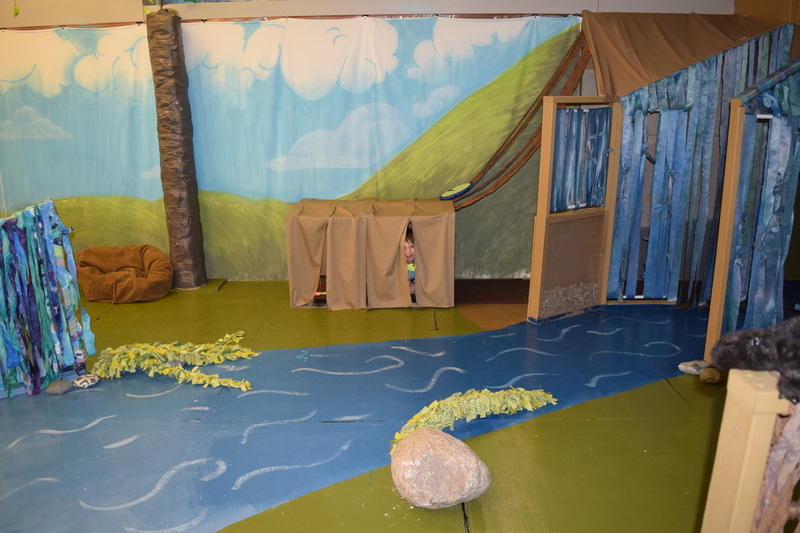 Based on research using Visual Thinking Strategies, Children's Museum of South Dakota and I have developed an interactive performance installation to address the most frequent questions young people have about pond and stream habitats. 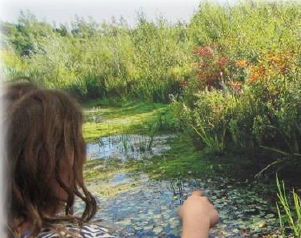 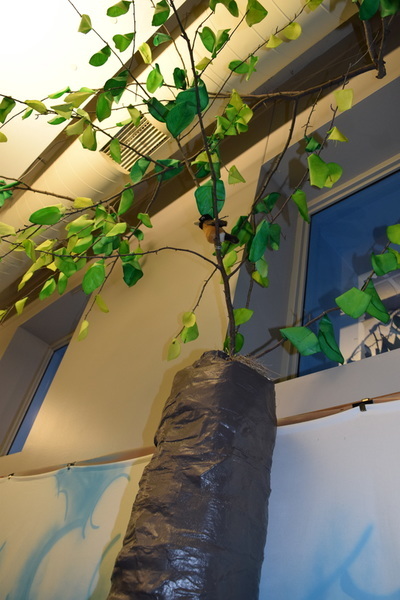 Using data gathered from youth ages 2 to 12, the exhibit space explores relationships between living things, speeds of water flow and identifying plants and animals living in and near ponds and streams. 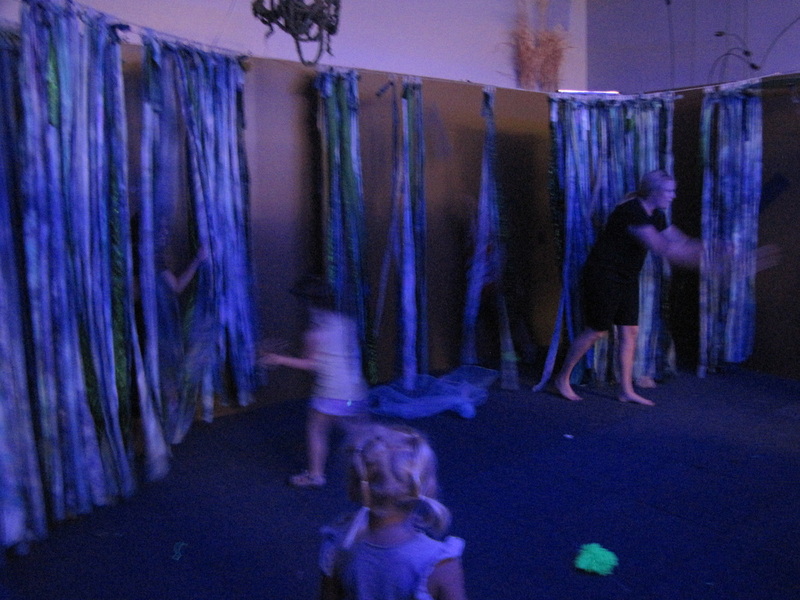 A set of performers enlivens the installation space inviting exploration, play and embodiment of ecological ideas. 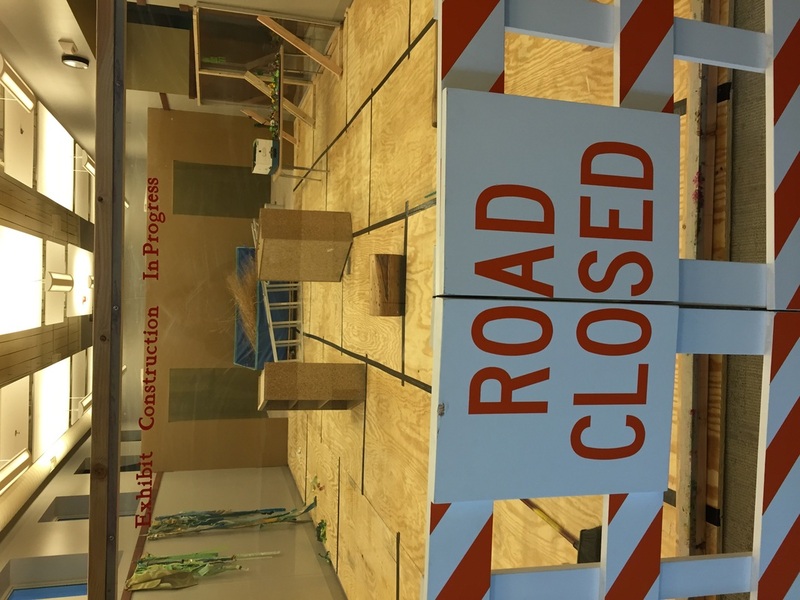 As an evolving installation space, A STREAM to PONDer will have added elements, props and scenic treatments through Winter 2015. 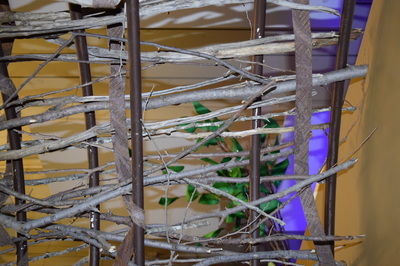 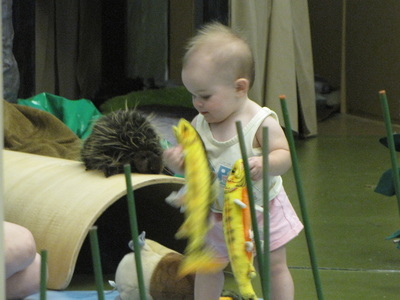 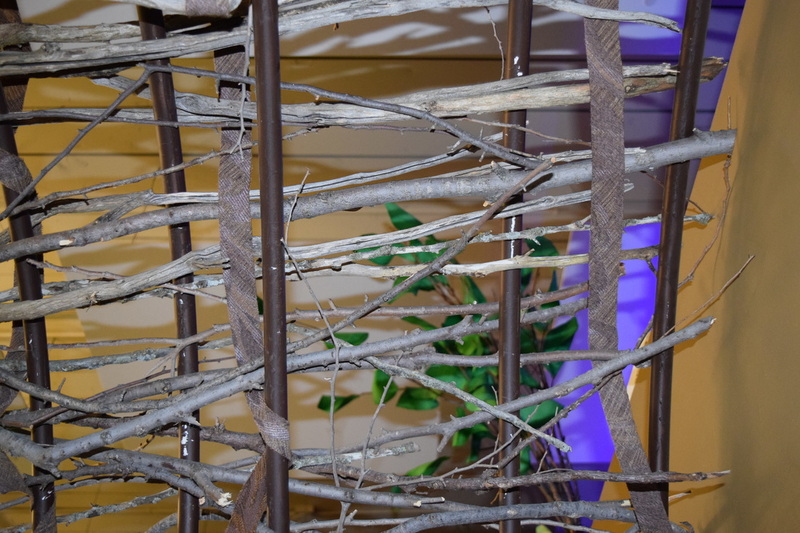 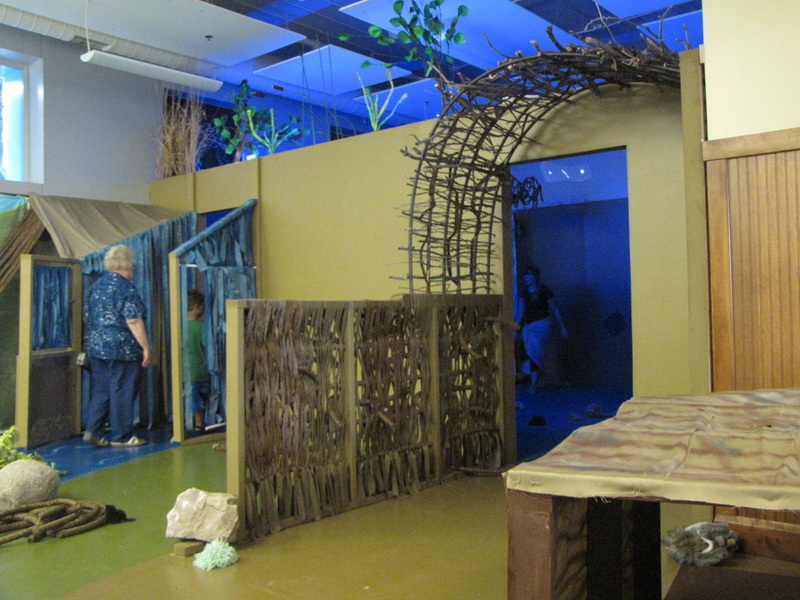 It is an interactive play space activated by children's investigations and rearranging of its many loose parts. 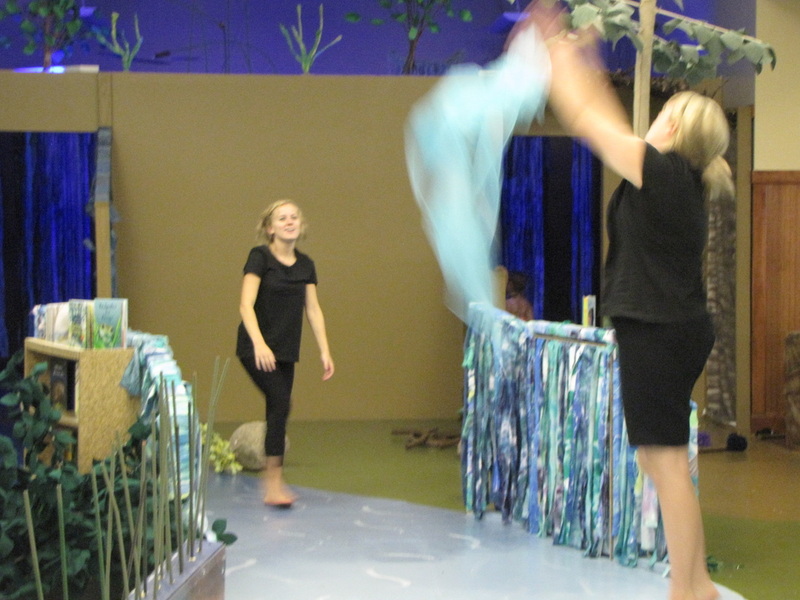 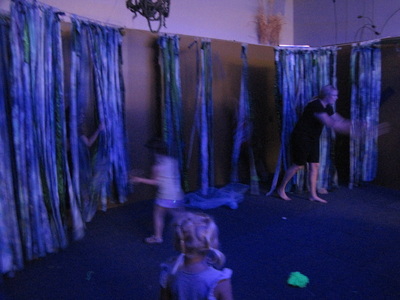 Performer/facilitators activate the space for intervals throughout the day to encourage inquiry and ownership in the many habitats surrounding a stream. 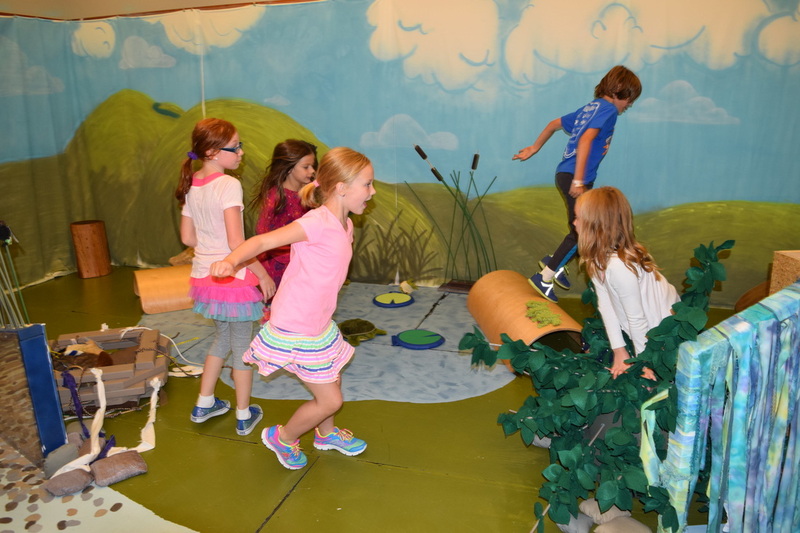 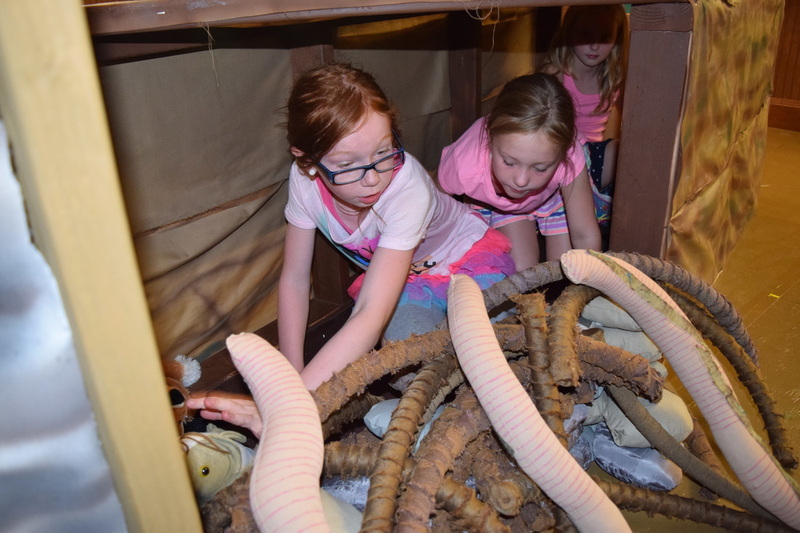 The project opened to the public on July 21, 2015 and is supported by ongoing programmatic offerings like classes, workshops and guest artist residencies to deepen learning around pond and stream ecosystems and deepen play experiences within exhibit. 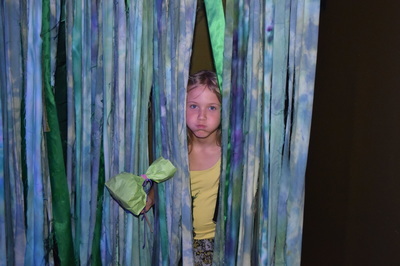 We are excited about discoveries between visitors and performers in coming weeks! 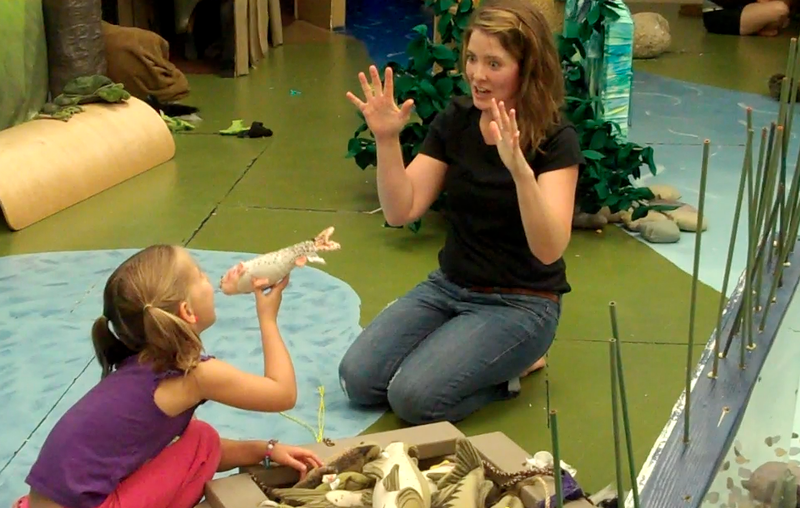 I was lucky enough to have monthly visits to Brookings to lead workshops, classes, public school residencies and performer trainings throughout Spring/Summer 2015. 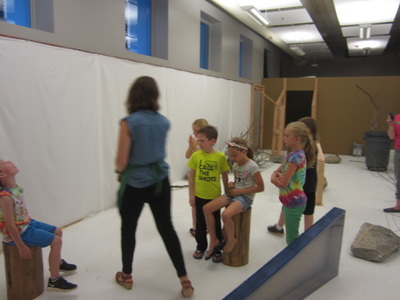 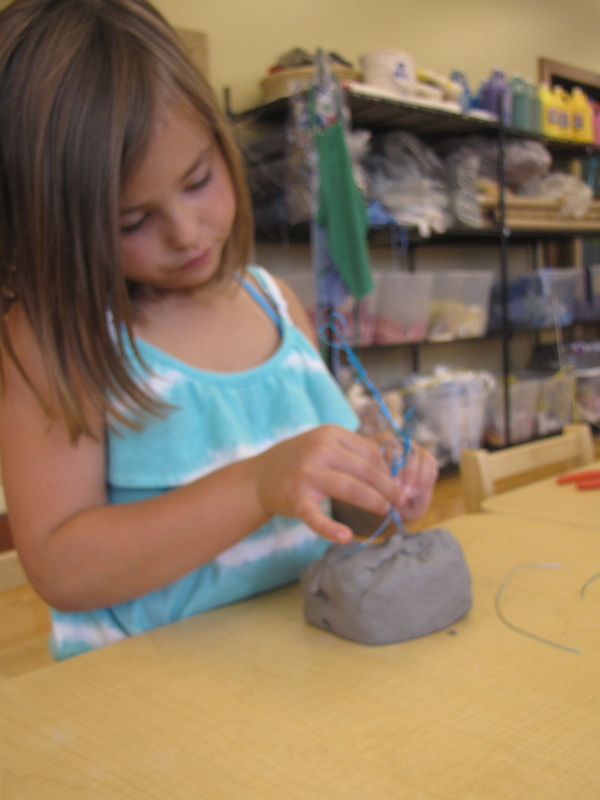 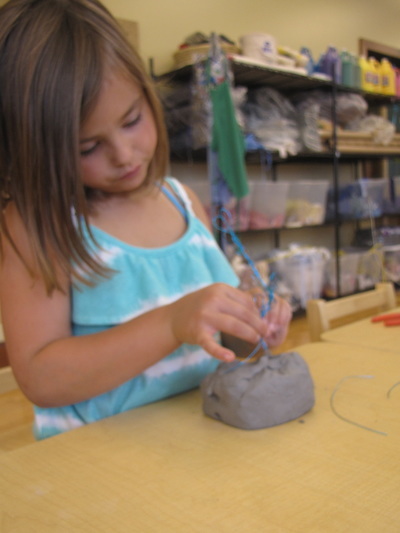 Research phase: Visual Thinking Strategies with images, Brookings Public School Creative Drama workshops, museum visitor art workshops, museum facilitator trainings.